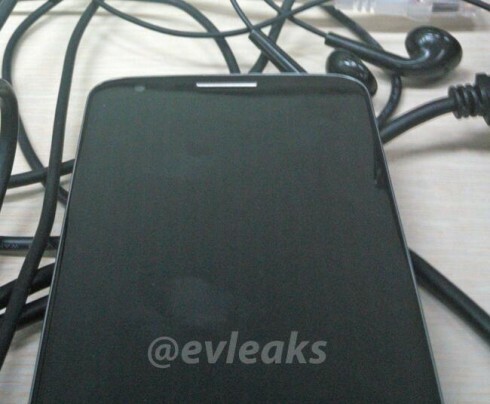 LG Optimus G2 Gets Evleaked! We don’t only cover concept phones here, but also some leaks, especially since some of them show spectacular designs. After all, we’re all about innovative looking handsets, right? LG Optimus G2 might just open up a new chapter in phone industrial design, as you can see through the image below. It was published by famous Twitter account @evleaks and shows us what we can call the first true big brand edge to edge display smartphone. The device’s specs were already leaked by a Korean publication and it appears that this model packs a 5 inch Full HD LCD panel, a 2 GHz quad core Snapdragon 800 processor, Android 4.3, a 13 megapixel camera (or better) and at least 32 GB of storage. 2 or 3 GB of RAM are predicted here and the design seems to involve an edge to edge display, that basically covers the facade totally. Some people have said that this design reminds them of a Nexus phone. So, what do you make of this? LG Optimus G2 or LG Nexus 5?